Moroccan and Indian authorities are preparing the launch of the Casablanca-New Delhi air route as part of an effort to bolster business and tourist ties, a diplomatic source told le360.ma. The air link will be operated by Morocco’s and India’s flag carriers, Royal Air Maroc (RAM) and Air India, the news portal said. 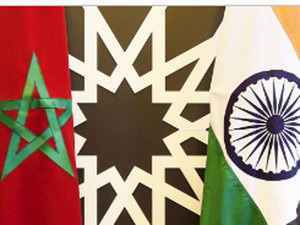 The two weekly flights between Morocco and India are expected to start later this year, it added, recalling that Morocco’s tourism promotion agency (ONMT) opened an office in New Delhi, the second in Asia after Beijing. As it ambitions to expand in Asia, Africa and Latin America, RAM seeks to increase its fleet two-fold from 50 planes currently to 120 by 2020. To that end, RAM ordered last January four Boeing 787-9 Dream-liners for a total cost of $1.1 bln. In addition to five 787-8 Dreamliners, RAM has a fleet that includes Boeing 737s, 767s and a 747 jumbojet. In total, the airline operates a fleet of 47 mainly Boeing aircraft.